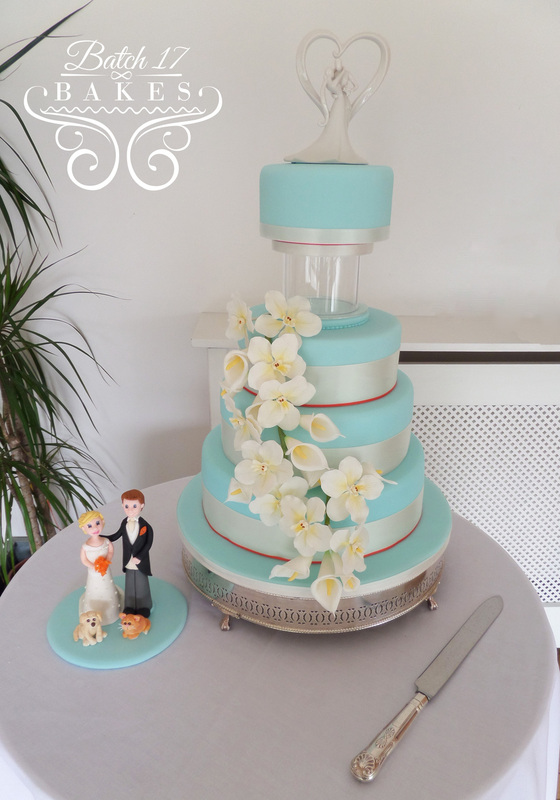 VivienB's wedding stationery, who are based in Oxfordshire, present Batch 17 Bakes as their wedding cake specialist preferred supplier, based in Bicester. My name is Helen, and I run Batch 17 Bakes from my home in beautiful Bicester, Oxfordshire. I have loved baking since I was a child, and am passionate about all things cake related. I absolutely love my job, and I’m also a total perfectionist, so you can rest assured that your wedding cake will be made by someone who really cares that it’s the best! All Batch 17 cakes are made totally from scratch, to order, from the best possible ingredients – nothing is from a packet or a box mix, so that your cake will be as fresh and delicious as possible for your big day. All our sponge cakes are triple layered and then filled with buttercream, and jam or curd for a truly delicious combination. Our cakes are then covered in either a decadent chocolate ganache or a delicious marzipan, underneath a silky smooth sugarpaste, for that extra special perfectly flawless finish! Our cake and filling flavour combinations are endless, so you can certainly have your cake, and eat it too! We work closely with all of our clients, helping to design the perfect centrepiece cake for your special day, and to make sure you get the cake you’ve dreamed of. All of our wedding orders start with a free consultation, where you can come and try some of our cake samples, and discuss your requirements. It’s a great opportunity for us to get to know each other, and for you to bring all your ideas with you so we can go through everything together, to come up with that perfect cake! 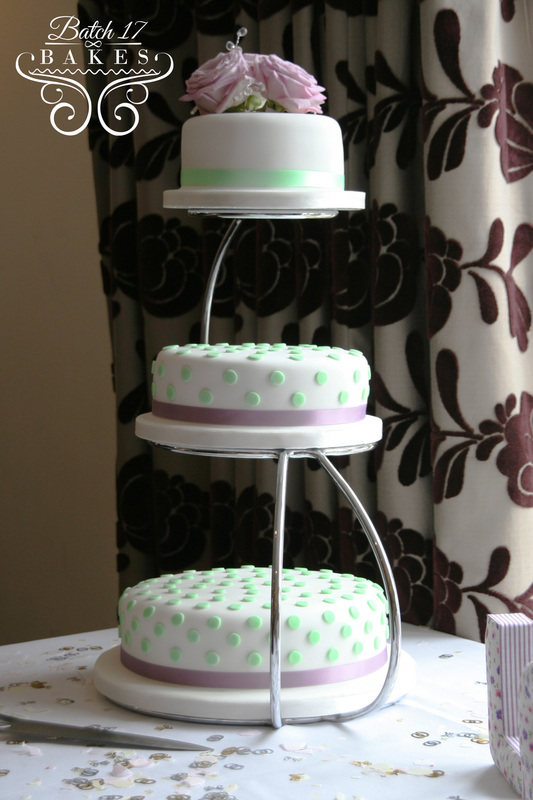 We will work with you and your venue, throughout the order process, right up to personally delivering and setting up on the big day itself, so that you know your cake will be cared for, right up to saying ‘I do’! Cake design is an ever changing world, and I absolutely love the challenge of a new idea or technique! Over the years I have taken classes with several of the big industry names, to ensure my work is always of a high professional standard, and I am constantly learning new skills to ensure that I can deliver the cake of your dreams. At Batch 17 Bakes we deliberately do not take high volumes of orders, so that we can always ensure that we can pay special care and attention to each cake we make. Our kitchen is fully registered and certified with a 5 star hygiene rating by Cherwell District Council, and we are fully covered with Product and Public liability insurance. Please visit our website for full details of our services, or stop by our Facebook page or Twitter if you’d like a chat!